For most of our FGASA programs and some of our International Study Abroad Programs we are based at our beautiful tented camp, called Ngala. 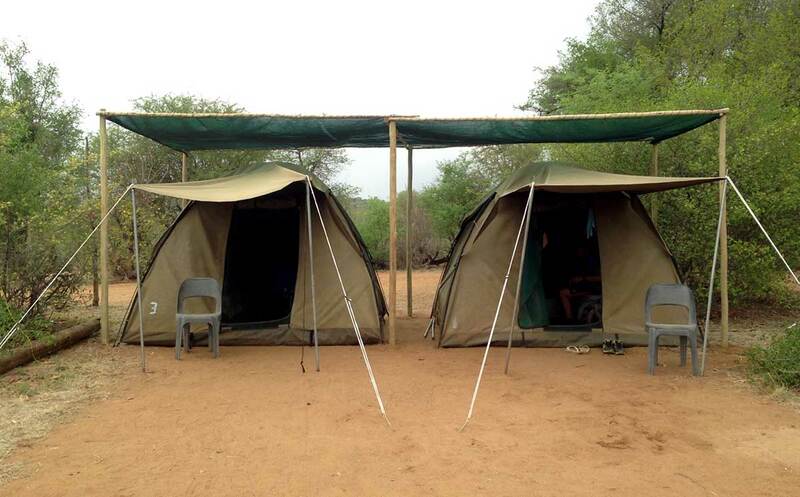 Ngala means lion, and the camp did not get this name for nothing! 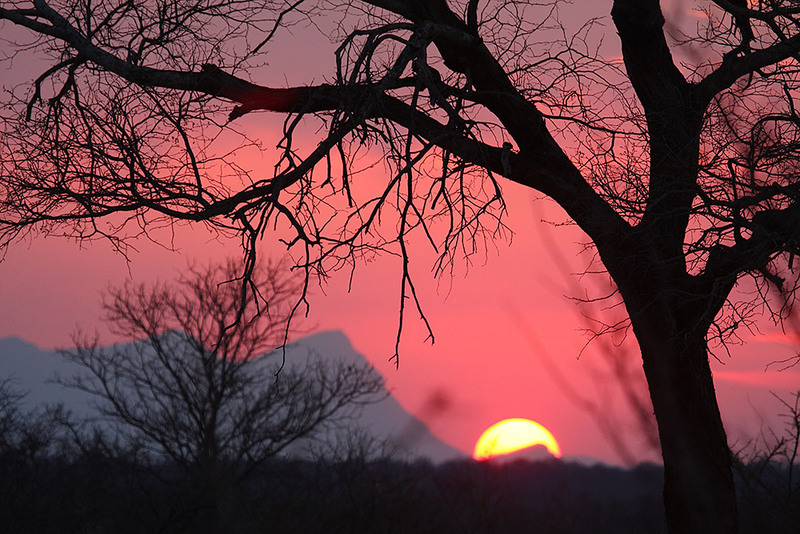 It is situated within the boundaries of the Struwig Eco Reserve in the Greater Kruger National Park. Struwig Eco Reserve has its roots in the vision of Mr. P.C. Struwig. He and his wife were childless, but wanted to leave their property to the youth of South Africa, so in an act of unsurpassed generosity in his will he left the land (which is today known as Struwig Eco Reserve in his honour), and a few other properties in a trust managed by representatives of several youth and culture organizations. His vision was that this land would serve as a place where the people of South Africa could come to relax and enjoy the African bush. 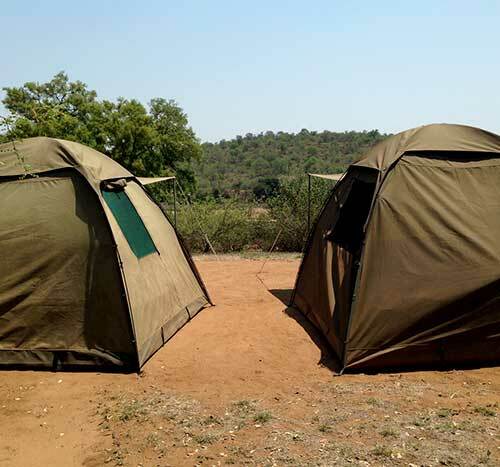 Our camp is totally open to the famous Kruger eco-system, which means that anything you can find in the Kruger Park we could potentially find at Ngala Camp. 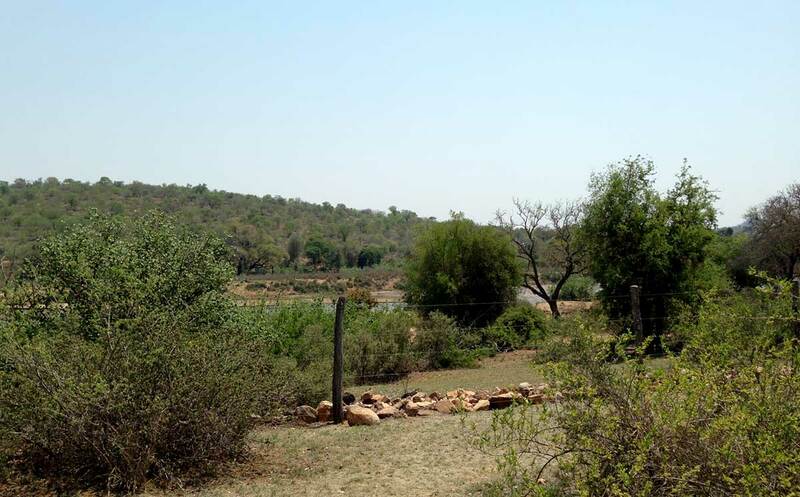 We are beautifully situated on a small hill overlooking one of the great rivers of the region, and enjoy more than six kilometres of Olifants River frontage. This river is a magnet for wild life, providing the only drinking water for miles around during the dry winters, which makes for some spectacular game viewing opportunities. Water in this dry region is always an issue, but we have found a way to have some of the luxuries of home, by installing a large water tower to provide our water, which is brought from the main camp every few days. To save on water consumption our showers work on a rustic but eco-friendly system. We recommend the use of environment friendly soaps as this shower water goes straight back into the natural environment. Our toilets, however, for your comfort, are the typical flushing kind found in modern homes. In terms of mammals, buffalo, lion, elephant, rhinoceros (both white and black) and the elusive leopard all call this place home, as well as African wild dog and cheetah, which both make periodical appearances in our area. Spotted hyena are common, as are zebra, and many smaller nocturnal mammals can also be seen when we do dusk or night drives. 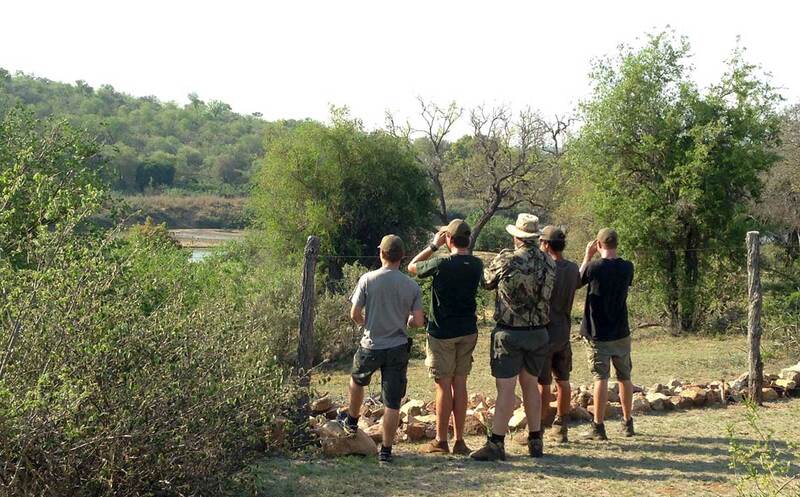 Kudu, sable, impala, waterbuck, wildebeest, nyala, bushbuck, steenbok, Sharpe’s grysbok, common duiker, klipspringer, giraffe and warthog are some of the ungulates which we could encounter whilst on drives or walks. It is a semi-arid portion of the Park, with plenty of movement of game in and out of our traverse, and fortunately much in-migration due to the river on our doorstep. The topography is very interesting, with coarse quartzite hills, and flat floodplains dominating the river banks, with a smattering of dark red Seyenite Koppies. It is an area rich in history, with evidence of Iron Age and earlier Stone Age cultures to be found at certain sites in the reserve. Birdlife is prolific, with several hundred species found on the reserve. Water birds attracted to the river are abundant and varies, and the hills and Koppies attract their own suite of arid eastern species. During the South African summer the calls of interesting migrants fill the air. Botanically this area is very rich, with many unusual varieties of tree and forb. 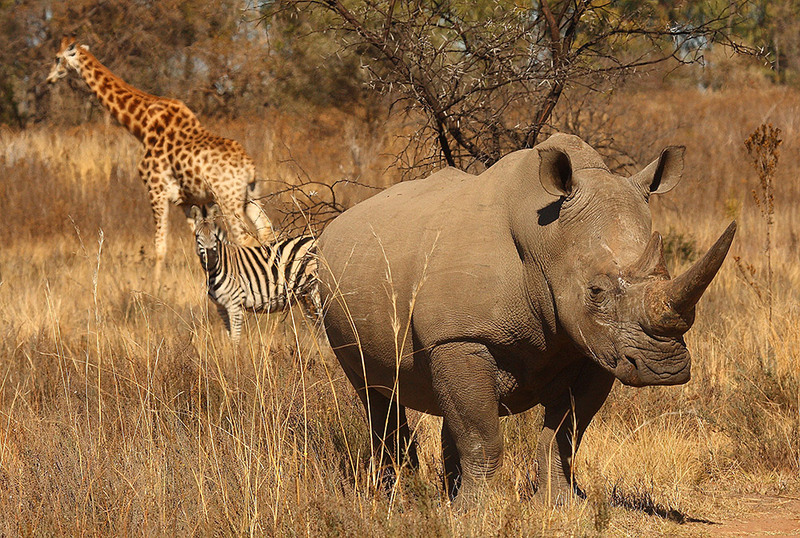 We are very fortunate to operate in such a diverse habitat.